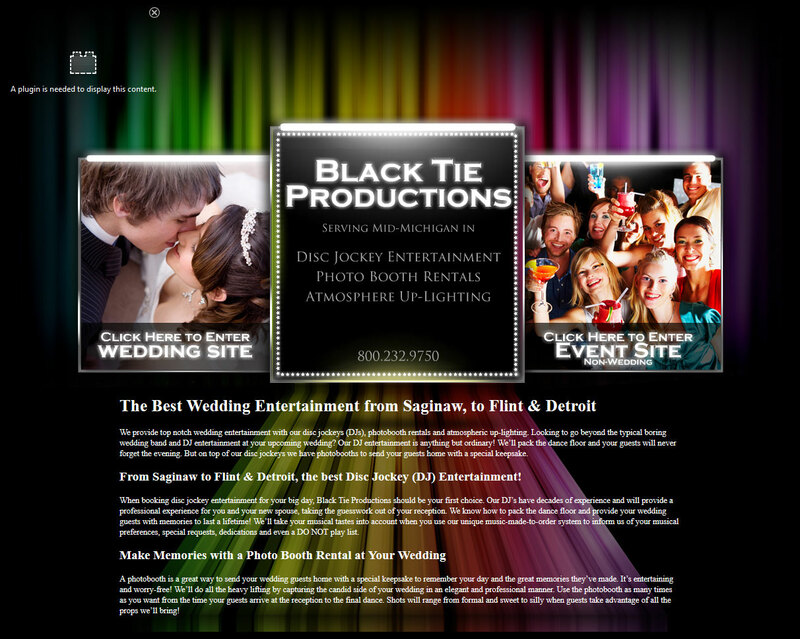 Black Tie Productions is a large, successful entertainment company based in Flint, MI. 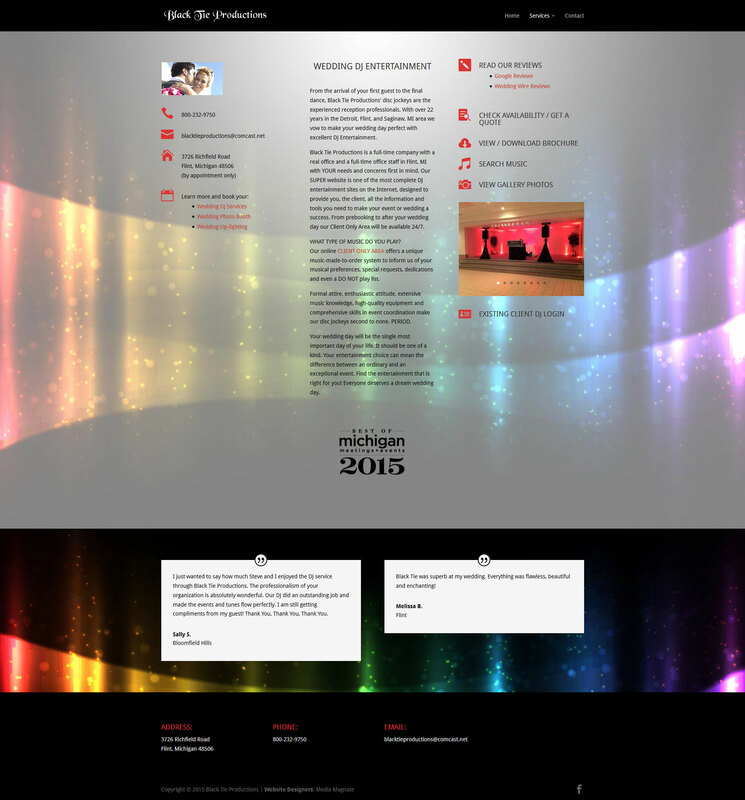 Our client was in dire need of an updated website. His old website was in flash so it was not mobile or SEO friendly and was fragmented, loading different ‘sites’ for services with no clear branding or navigation. 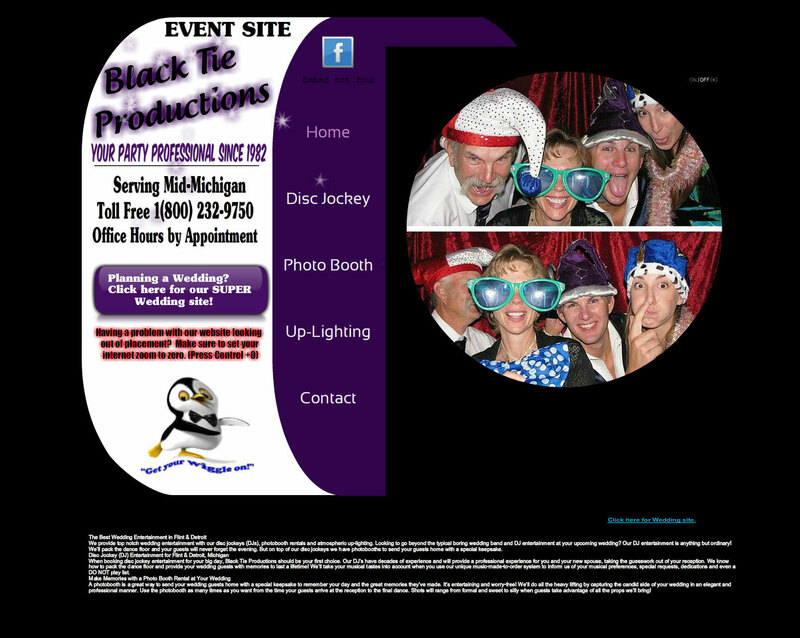 We created a unique, brand cohesive website that easily directed clients to the services they were looking for and made it easy to navigate, inquire or log into their personal accounts. 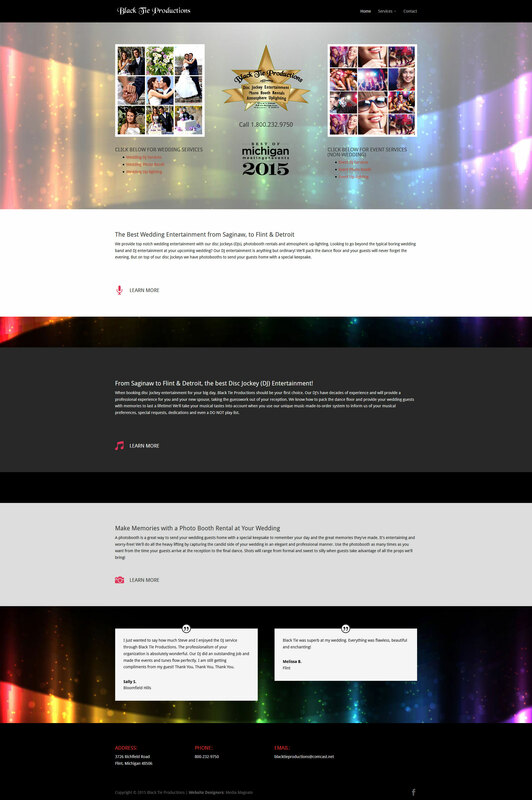 The new website is now user-friendly with responsive design and strong SEO coding.